Cary, NC--- The industry’s best resource for education, training and technical assistance for all-things cotton just got better. 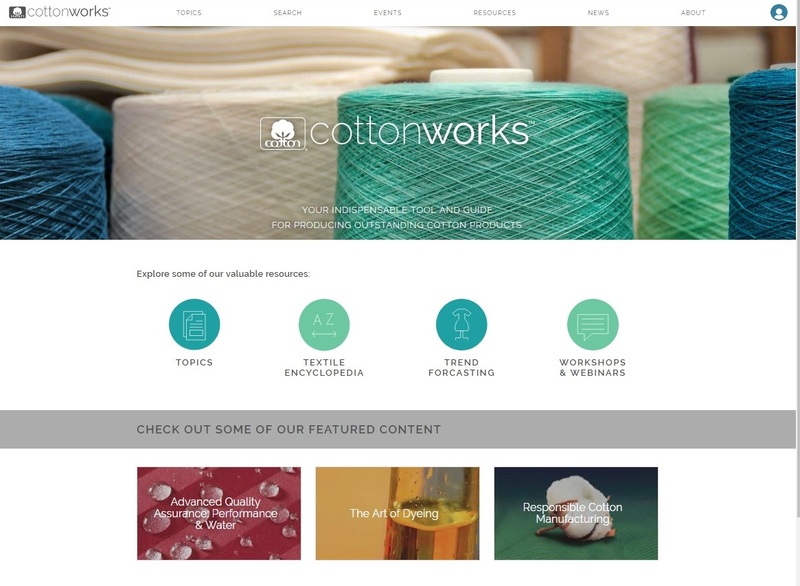 Formerly known as COTTON UNIVERSITY™, the new site, CottonWorks™ brings a broad array of information, assistance and leading-edge information to textile professionals. It launches with a new look, a more streamlined navigation, and even more robust content. With more than 23,000 users, the site is the leading destination for designers, sourcing professionals and anyone using cotton in their products or business. Along with enhanced navigation, CottonWorks™ replaces the original ‘college’ segmentations with broad topic areas, such as Knits, Wovens, Nonwovens, and Denim. Registered users also have the ability to access content such as webinars, the Textile Encyclopedia, and new features such as lists. Users can create, save, and share ‘lists’ of content, allowing for more focused and custom exploration of various topics. 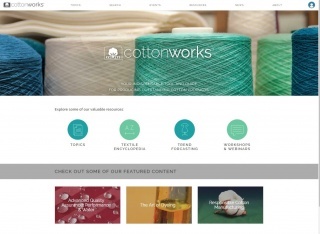 A companion to the more than 50 real-life educational workshops offered as part of the ISP, CottonWorks™ will now serve as the sign-up portal for those physical workshops moving forward. Qualified industry professionals can now see the day, hour, and minute when workshop registrations will open. Existing users’ login credentials remain unchanged with the transition. An informational brochure and tutorial video are available outside the registration wall for both existing users and those interested in learning more about what the website has to offer. The CottonWorks.com will be live as of January 18, 2018. The site is a project of the Cotton Board Importer Support Program (ISP) and managed by Cotton Incorporated.